If you are a busy lady, who spend much time working at her computer or doing some other type of sitting job, or vice versa, if you spend too much time walking during the day, you might have some problems with your back. Do you often feel pain in back at the end of the day? This exercises will help you to forget about it. Check them out. Clamshells, Supta Virasana, Birddog, Savasana, Cat Pose, Camel Pose, Bow Pose, Standing Forward Bend. 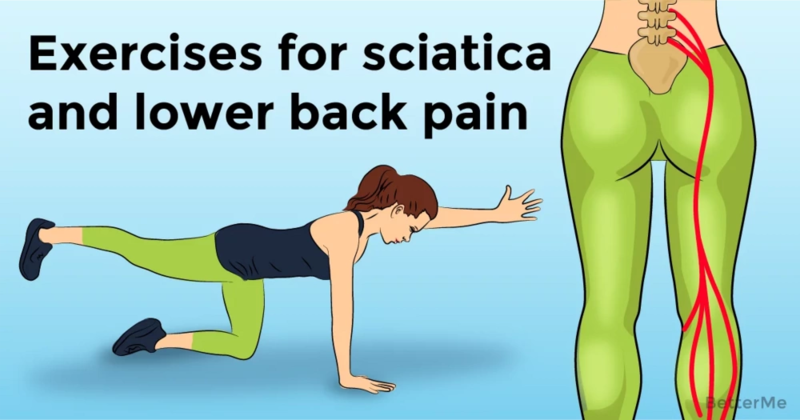 If you will do this exercises regularly you will be able to get rid of sciatica as well. It means that you won’t suffers from weakness and tingling in your muscles. If your nerves are clamped, these exercises will help them to place themselves back in a place where they are supposed to be. You will be more energetic with the help of these exercises. So, don’t be hesitant to try them out and leave your comments afterwards. - Kneel on the floor with your knees hip width and thighs perpendicular to the floor. Rotate your thighs inward slightly, narrow your hip points, and firm but don't harden your buttocks. Imagine that you're drawing your sitting bones up, into your torso. Keep your outer hips as soft as possible. Press your shins and the tops of your feet firmly into floor. - Rest your hands on the back of your pelvis, bases of the palms on the tops of the buttocks, fingers pointing down. 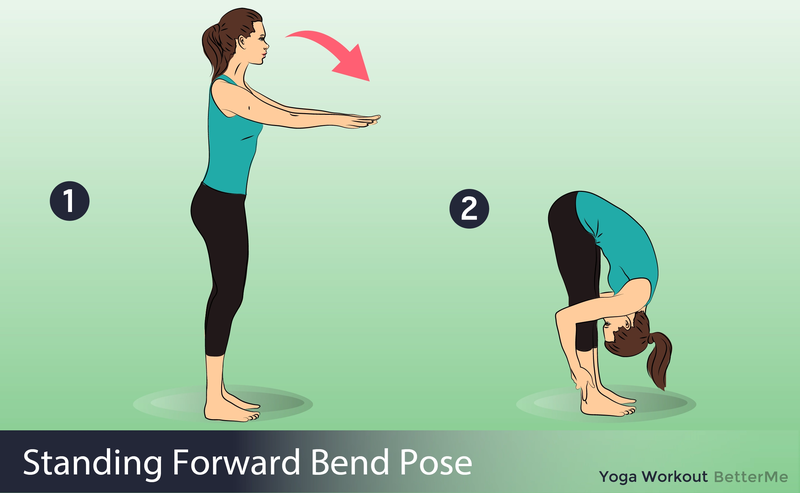 Use your hands to spread the back pelvis and lengthen it down through your tail bone. Then lightly firm the tail forward, toward the pubis. Make sure though that your front groins don't "puff" forward. To prevent this, press your front thighs back, countering the forward action of your tail. Inhale and lift your heart by pressing the shoulder blades against your back ribs. - Now lean back against the firmness of the tail bone and shoulder blades. For the time being keep your head up, chin near the sternum, and your hands on the pelvis. Beginners probably won't be able to drop straight back into this pose, touching the hands to the feet simultaneously while keeping the thighs perpendicular to the floor. 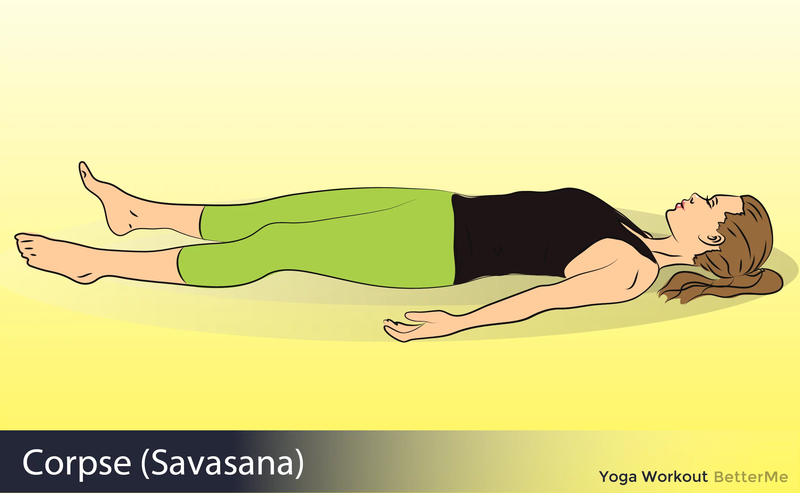 - In Savasana it's essential that the body be placed in a neutral position. - Sit on the floor with your knees bent, feet on the floor, and lean back onto your forearms. 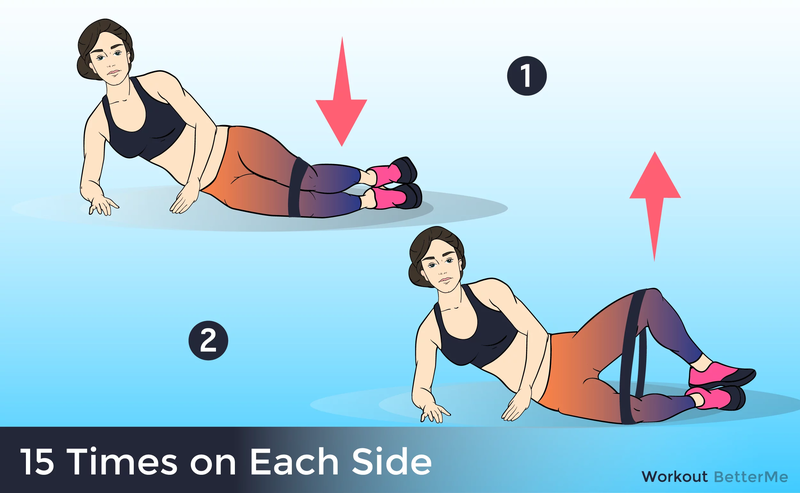 - Lift your pelvis slightly off the floor and, with your hands, push the back of the pelvis toward the tailbone, then return the pelvis to the floor. Inhale and slowly extend the right leg, then the left, pushing through the heels. - Release both legs, softening the groins, and see that the legs are angled evenly relative to the mid-line of the torso, and that the feet turn out equally. - Narrow the front pelvis and soften (but don't flatten) the lower back. - Perform Virasana. Exhale and lower your back torso toward the floor. - First lean onto your hands, then your forearms and elbows. - Once you are on your elbows, place your hands on the back of the pelvis and release your lower back and upper buttocks by spreading the flesh down toward the tailbone. - Then finish reclining, either onto the floor or a support blanket or bolster.